EpiPen consumers vs. Senatorial courtesy -- who wins? Over the last few days, politicians have been decrying the $600 price tag on the EpiPen auto-injectors that allergy sufferers rely on to protect themselves from life-threatening anaphylactic shock attacks. Just yesterday, there were calls for hearings and demands for price rollbacks. Senators wrote irate letters to Heather Bresch, CEO of Mylan Pharmaceutical NV, the company that has jacked up the price of an EpiPen prescription from $57 in 2007 to more than $600 today. But a hush fell as word got around the hallowed halls that Ms. Bresch was the daughter of Sen. Joe Manchin (D-W.Va.). Lawmakers are still calling for action, but the likelihood that Ms. Bresch, 47, will be hauled before Congress for a merciless grilling and show trial appears slim, according to a Bloomberg report. For a little while, it looked like Mylan would get the same kind of congressional tongue-lashing dished out to Martin Shkreli and his Turing Pharmaceuticals AG, not to mention Valeant Pharmaceuticals International, both excoriated for buying up rights to older generics that lacked competition and raising prices through the roof. Mylan also falls into another slot that frequently attracts lots of congressional arm-waving and disdain -- it has moved its corporate domicile overseas, a tax-dodging maneuver known as inversion. 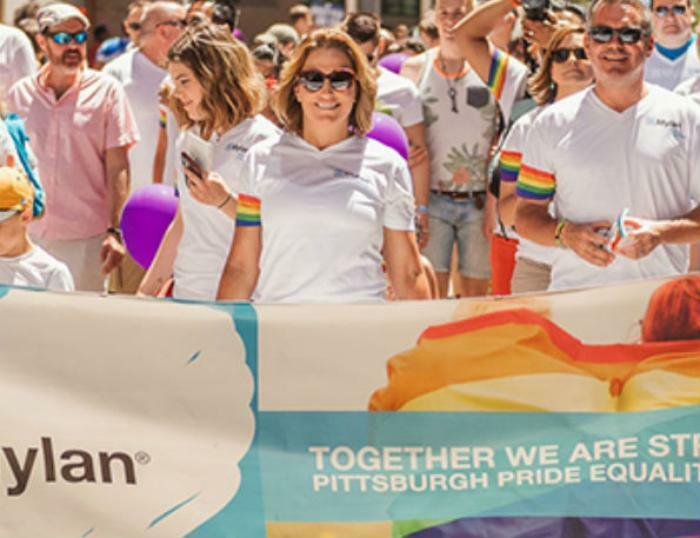 The company moved to the Netherlands last year, although it maintains its primary executive offices in Canonsburg, Pa.
Mylan thus fits the profile of corporations that have it both ways -- they get a lot of money from taxpayers while dodging taxes themselves and milking consumers who have few or no options, all while taking care of their friends in Congress. Congress came through for Mylan in 2013 as it pushed for public schools to have EpiPens on hand, enacting legislation later signed by President Obama. Mylan spent about $4 million lobbying Congress on that measure and also gave away an initial supply of auto-injectors to schools, leaving taxpayers to pick up the tab for replacements. The epinephrine in the pens is only good for one year, so the devices must be replaced annually. The controversy comes at a bad time for Manchin, 69, who was elected in 2010 to fill the seat left vacant by the death of longtime Sen. Robert Byrd. He was elected to a full six-year term in 2012. One of his campaign websites refers to him as "a back-slapping, gun-owning Democrat who attracts widespread support from working class whites in an increasingly Republican state." But despite all that back-slapping, the EpiPen controversy could be embarrassing for Manchin. In a red-leaning state, being seen as part of the "Washington elite" that supposedly works against the interests of middle-class voters isn't helpful. Manchin has been walking a thin line since he succeeded the perenially popular Byrd. During Manchin's reelection campaign in 2012, he declined to back President Obama and this year has distanced himself from Hillary Clinton after she made remarks that were seen as anti-coal -- fighting words in West Virginia. Manchin is expected to keep a low profile as the storm rolls through Congress and dissipates, as many observers now think it will. After all, Senatorial courtesy generally takes precedence over consumer protection.